You surely know what Blackjack is – a game also referred to as twenty-one. This is the most widely played casino game in the world, and it has been found across the US casino market on over 350 tables. This game also marks the very first time Buster Blackjack was brought to Europe and the online scene. Pretty fascinating. 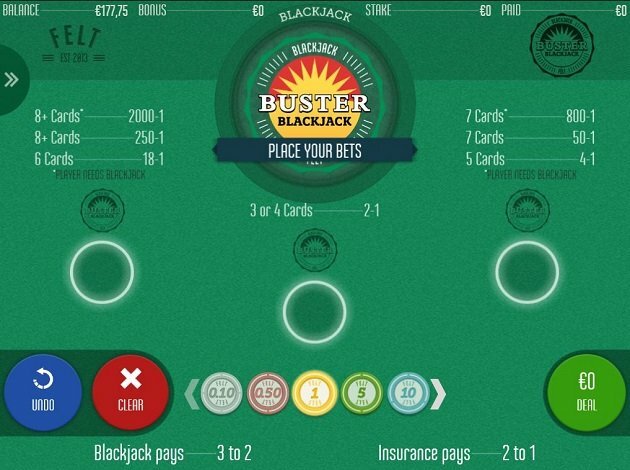 And there is no provider better to make this happen – Buster Blackjack is a game by Felt LTD. If this sounds thrilling to you – then you should check out some of their other games. You have Blackjack Lucky Lucky, Buster Blackjack, Caribbean Stud Poker, Lucky Ladies Blackjack. This time, we will get to know more about Buster Blackjack. You need to get 21 points on the first 2 cards (which is then called a Blackjack) without a dealer blackjack. You let the dealer draw additional cards until his or her hand exceeds 21. You start Buster Blackjack off with placing your desired Bet. You can see the chip selector at the bottom of the screen with various values for you to pick from. After the Bet has been made, you need to place your Blackjack Bet, which is the main bet and the circle you can see in the middle. When playing the desktop version of the game, you can even choose to play up to three hands at a time – simply by placing your bet on as many spots as you desire. But please note that when playing on the mobile version you can only play one hand. After this, you have the option to place your Buster Blackjack Bet, and this can be done after the Blackjack Bet is made in the middle circle. The Buster Blackjack Bet is a Side Bet, and you place it the same way as with the other bets. After each Blackjack Bet you make, you will get a pop-up message asking wheatear or not you wish to place this Buster side bet, and it is optional. You can only place a Buster Blackjack Bet if you have already placed the first Blackjack Bet. When you have placed your bets and feel content with them, you are ready to start the game – press Deal and play! 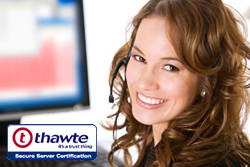 After all, Bets are made, and you are satisfied, you simply press the Deal button to start. The cards are then dealt, and you are asked to play the first Blackjack hand, and it always starts with the hand to the right. What is unique about Buster Blackjack, is that you get the options to place side bets for the dealer to bust. Buster Blackjack is always settled after you have completed playing your Blackjack hand. You can see the values of your cards in the small black symbols, and the object of Buster Blackjack is as mentioned to reach 21, or as close to it as possible. The man thing is that you need to beat the dealers´ hand value in total, without going over 21. If the two first cards dealt are 21, then it is a Blackjack, and you will win 3-2 on your Blackjack – if the dealer doesn’t have a Blackjack too. If the dealer doesn’t have a Blackjack, then your bet will be settled, and no more action will be taken on that hand. If both you and the dealer gets a Blackjack 21 on the two cards, then it will be a tie and a PUSH, and the bet is given back to you. The dealer gets a Blackjack – if you set an insurance bet, then you will always get that if the dealer gets 21, or closer to it than you – even if you go bust. If the dealer does not have a Blackjack, then you lose the insurance bet, and the stake is taken of the table. Your first bet will stand still and stay there until you either win or go bust. After playing all Blackjack hands, it is time for the dealer. If he then gets cards that exceed 21 immediately and busts, then you will win the Buster Blackjack Side Bet. All these bets are settled after the dealer completed his turn. These are only the basics of Buster Blackjack, and if you wish to learn more and get a bigger grip of it, then you can read all about it in details under the “Help” section in the control panel. Buster Blackjack is a unique style of Blackjack, one with higher chances of winning more, granting you a lot of thrills and excitement. Are you ready to bust the dealer?